Parco is undeniably one of the greatest stallions, leaving a permanent mark both in sport and breeding. In standing Parco, Drumhowan Stud brings Irish breeders the opportunity of a lifetime! His list of achievements is endless. Parco was Belgian Show Jumping Champion with Ludo Philipaerts at eight years old, and 9th in the listings of best jumpers worldwide as a nine year old. 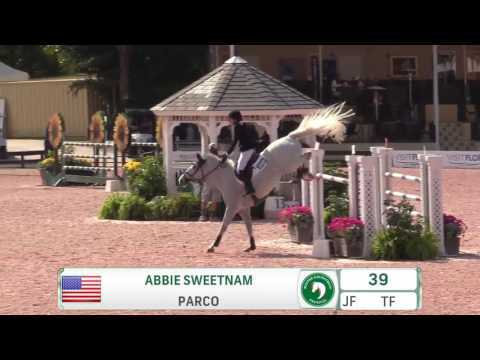 Parco’s exciting career included a 4th at the 2004 Olympics, 4th at the 2003 European Championships, 7th 2003 World Cup Final, 9th 2006 World Equestrian Games and Global Champions Tour Winner 2006. His sire Darco is an ambassador for the BWP studbook and has been #1 WBFSH showjumping sire worldwide for several years. Parco’s dam Ilona had two other foals, one of them is an approved stallion Maestro Van De Heffinck and the other is the 5* sport horse Qui Voila. 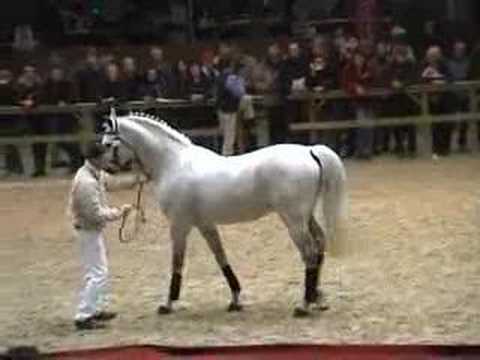 His damsire Attack Z is from the famous Almé motherline. Attack Z went to the Olympics like Darco and Parco himself. Please contact Gladys at Drumhowan Stud for more information, stud fees, etc.